Wow, just when I think organisers cannot make an event any better, they always pull something out of the bag. I’ve just returned from the Annual Apprenticeship Conference & Exhibition at the ICC in Birmingham, and despite attending on just one day, Thursday, I’ve learnt a lot. The conference bids itself as the flagship national apprenticeship conference for employers and providers, and welcomes over 100 workshops, 50 exhibitors and some of the most influential and knowledgeable leaders and officials from across the UK. Myself and Laura-Jane, CEO of Youth Employment UK, delivered a workshop that explored how young people are using the resources around them to make career choices. Including the potential barrier that parents and schools become, and how businesses are making an effort to be accessible to young people. Currently, there are 2 million young people who spend time every year being a ‘NEET’ (Not in Employment, Education or Training) and the number of “hidden” NEETS is thought to be rising. To understand how we can find solutions to these issue, we need to know how young people are finding work. In a survey of young people completed by Youth Employment UK 89% of young people used online jobs boards, such as Find an Apprenticeship, Total Jobs or Indeed, to look for work, with 67% applying directly on the employers’ own website or dropping off CV’s. Just 11% used a Jobcentre. 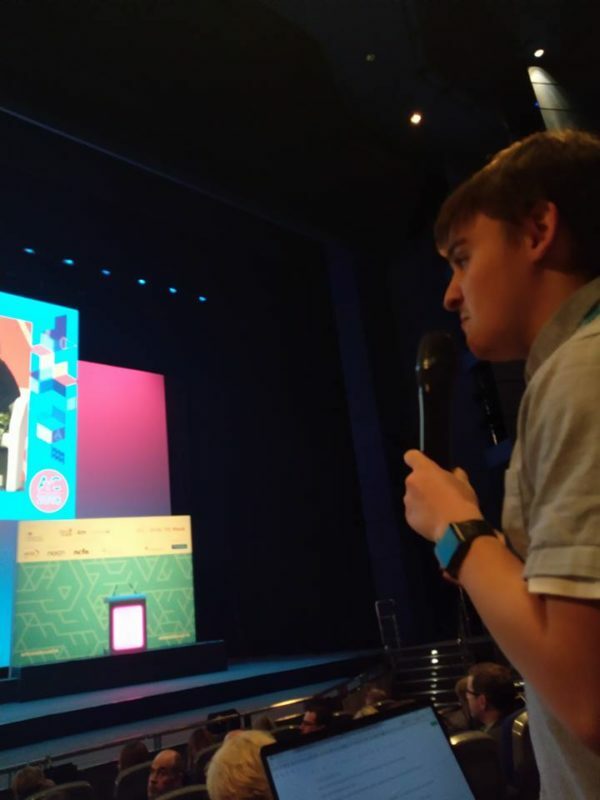 After hearing from Emily Chapman from the National Society of Apprentices (NSOA), which operates under the NUS (National Union of Students), I spoke to the audience about how apprentices are not aware of organisations that speak for them like this. It also ended up becoming a bigger question, where were the apprentices at this event? I hope the discussions today really kickstarts the need for apprentices to be involved in policy making, for them to be heard and for them to be welcomed when they suggest ideas and improvements. Obviously, this event being all about apprenticeships, we were all going to be very excited about current and planned developments in the sector. We’ve now been able to discuss the initial reactions and feedback from the start of the apprenticeship levy, as well as degree apprenticeships. To end, it was great to feel the consensus that we are finally winning the battle to make the option of apprenticeships known to young people across the UK. But, there is still plenty of work to be done.